Mostly good things happen, when you don’t expect them. So it was, when I got invited from Longines to attend the Prix De Diane 2015 in Chantilly. I always wanted to see horse races live and thank to Longines, my wish came true. 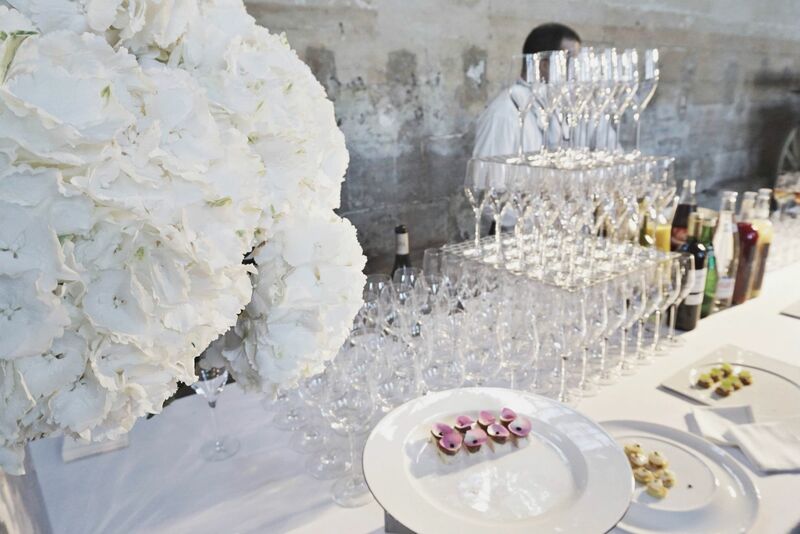 Getting ready for the elegant weekend, what to wear and how to look in many events – was another part of the excitement. Our journey started on Friday 12th of June, from Vienna to Paris and than we were picked up from the airport to Chantilly, which is a commune in the Oise department in the valley of the Nonette in the Picardy region of northern France. Surrounded by Chantilly Forest, the town of 11,000 inhabitants, lies 38.4 km north-northeast from the centre of Paris. Famous about the House of Montmorency in the 15th to 17th centuries, the Château de Chantilly was home to the princes of Condé, cousins of the kings of France, from the 17th to the 19th centuries, now it’s the Musée Condé. Chantilly is also known for its horse racing track, the Chantilly Racecourse, where prestigious races are held for the Prix du Jockey Club and the Prix de Diane. Chantilly and the surrounding communities are home to the largest racehorse-training community in France. 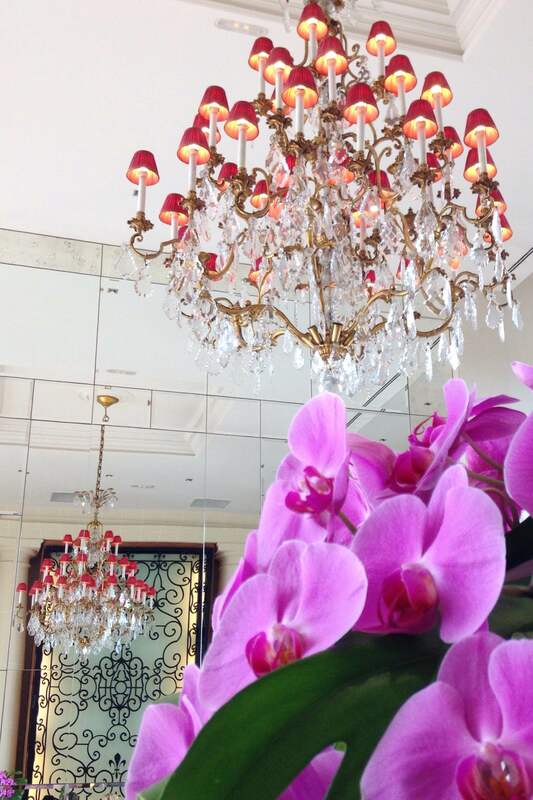 In nearly twenty minutes of driving from the airport, we arrived to Tiara Château Hotel Mont Royal. 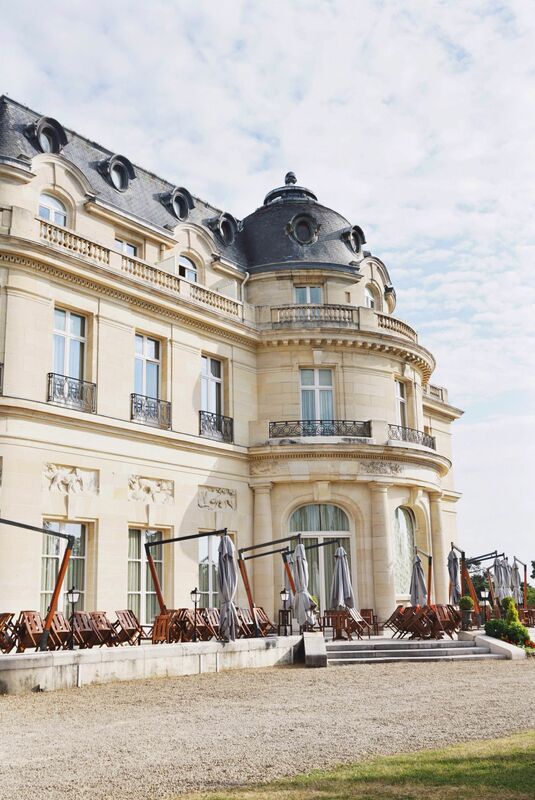 A stunning five-star Château, that was located in the middle of the Chantilly Forest, was definitely one of the most beautiful hotels I have ever been and a perfect weekend getaway, that felt like the most relaxed short vacation. 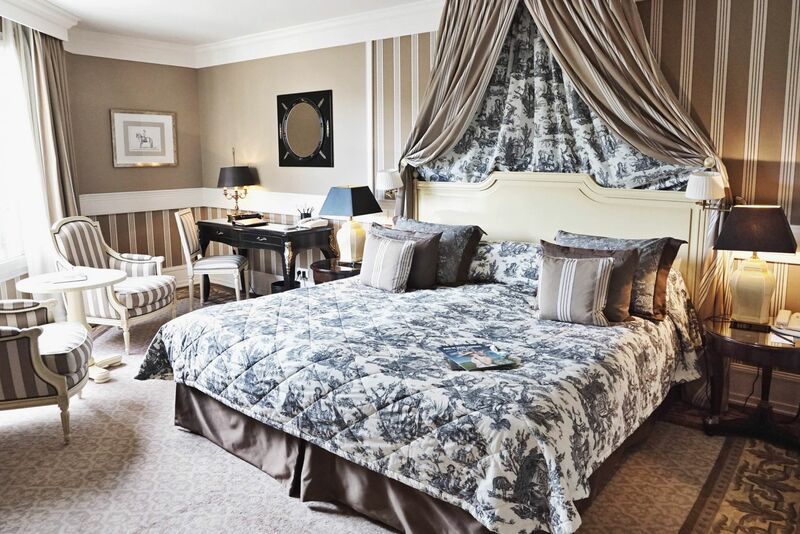 Nestling in the heart of the enchanting Chantilly Forest, the Tiara Château Hotel Mont Royal took me on a journey through centuries of history. 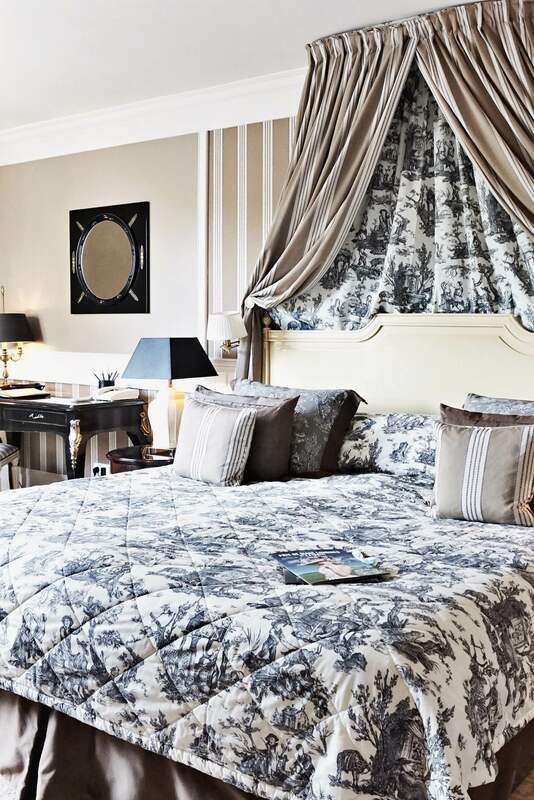 The rooms were decorated in the traditional French style, with a typical chateau hotel heritage and character. Great attention to detail, I felt very comfortable during my stay in this hotel. 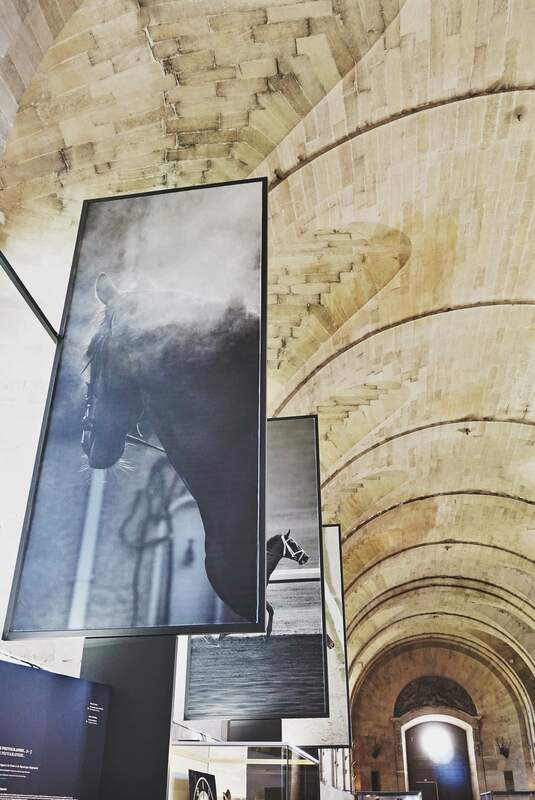 On Friday in the evening, we went to the opening of the temporary photography exhibition “TURF“, established by the Chantilly Foundation and sponsored by the prestigious Swiss watch brand Longines, held June 12, 2015 at the Great Stables of Chantilly. Charles-Henri Diriart, executive director of the domain of Chantilly and Juan-Carlos Capelli, Longines Vice President and International Marketing Director, cut the ribbon to open the exhibition and letting the invited guests to discover the preview of the hundreds of photos in large format representing the world of horse racing. 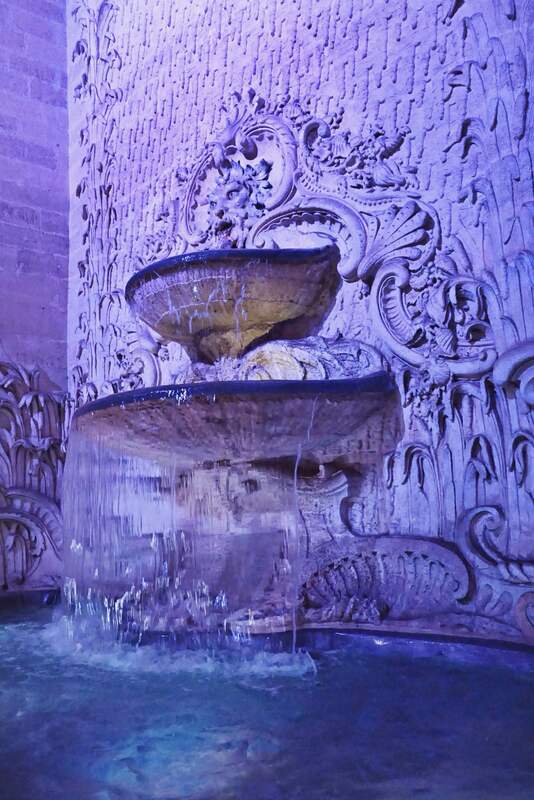 This exhibition will be open daily from 10 to 18, until the 28 August 2015. 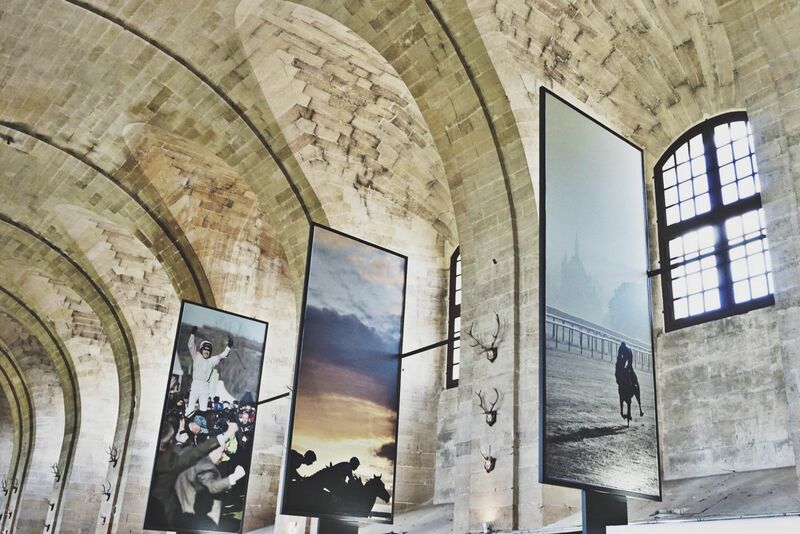 This exhibition will transport guests through time back to 1930s, from Chantilly to other distant destinations. 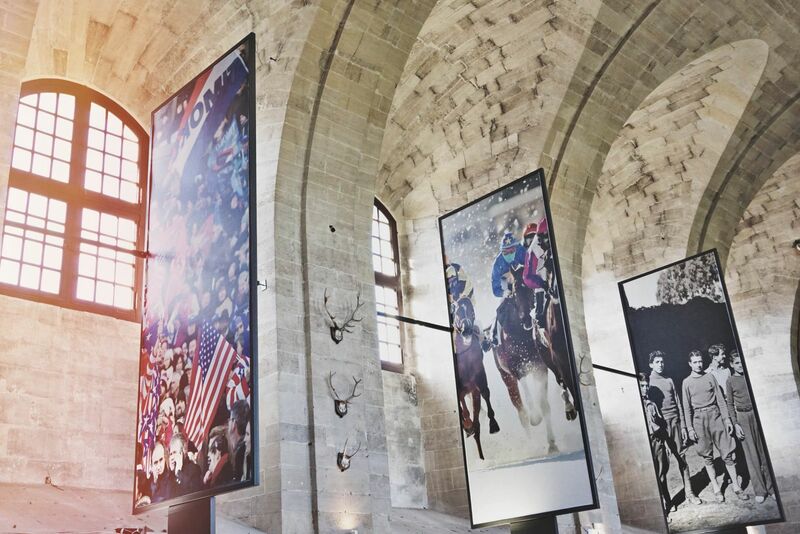 The sponsorship of this exhibition by Longines is a further guarantee of ties between the latter and the Chantilly Foundation. Indeed, the Swiss watch brand is Title Sponsor, Official Timekeeper and Official Watch since 2011 the Prix de Diane Longines, taking place every spring at the Chantilly racecourse. 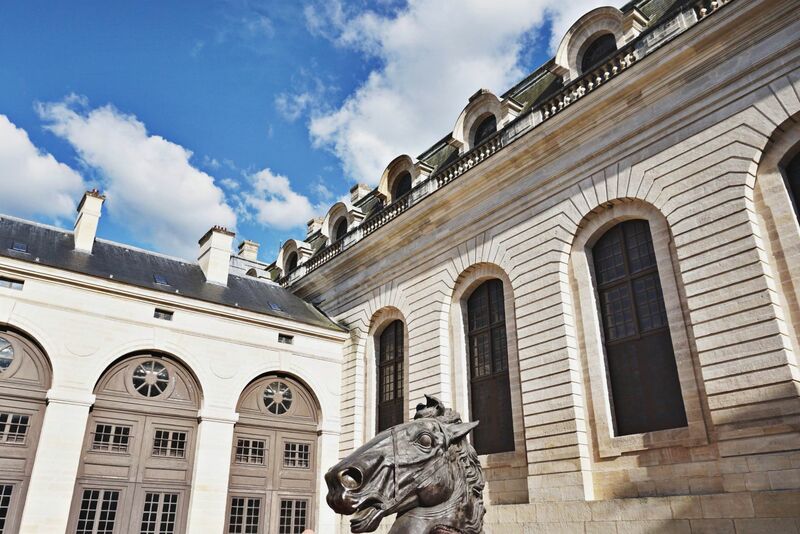 In addition, a permanent space Longines was recently installed at the Museum of the Horse of Chantilly, also managed by the Foundation. 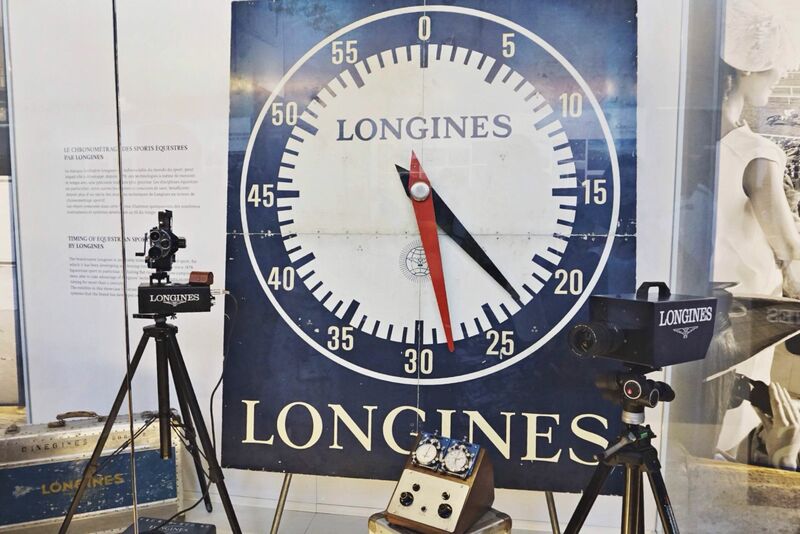 The passion for equestrian sports Longines dates back to 1878 when the brand was developing its first chronograph. It quickly experience a great success on racetracks in the United States. Today, the brand’s racing partner and jumping competitions of renowned barriers and umbrella organizations of these disciplines. Longines timing devices that are visible in the Turf exhibition reflect this secular commitment. Inside of the beautiful Sous Le Dome Des Grandes Ecuries De Chantilly. 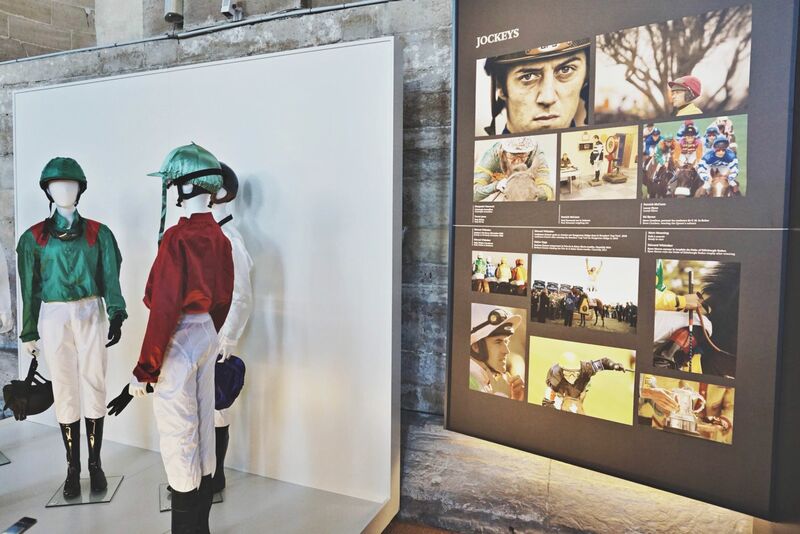 Huge photographs of the jockeys at the “TURF” exhibition. The Jockeys at “TURF” exhibition. 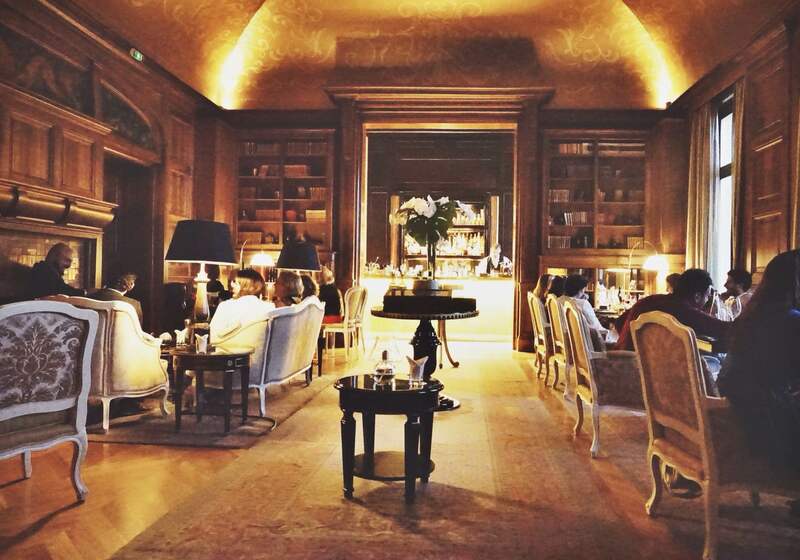 Dinner at the Sous Le Dome Des Grandes Ecuries De Chantilly. And our day ended at the hotels bar along with cocktails and snacks. Stay tuned for the day two in Chantilly, when I met the beautiful Longines Ambassador and Bollywood Diva Aishwarya Rai, as well as the “Dolce Vita Garden Party” at Château Chantilly, and many more!